Customer Picture Number 170 Selected. Cool Car decals applied. 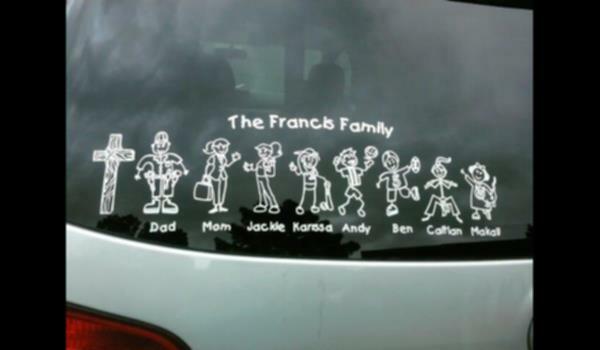 Teresa's awesome family represented by this custom made family sticker. Looks great!